(1) Biologique Recherché Lait VIP O2–This is an exfoliating milk cleanser that contains lactic acid and niacinamide as two of its star ingredients (full list of ingredients may be found on all sites that sell BR). I like this cleanser. Gentle feel yet powerful exfoliation and can be used daily. However, there are so many other cleansers on the market that does the same thing. This is my favorite item from the line (which isn’t saying much). (2) Biologique Recherché Masque Vivant–This is a clarifying and brightening mask that purifies with yeast and also contains niacinamide. Smells like Vegamite and beef bullion. 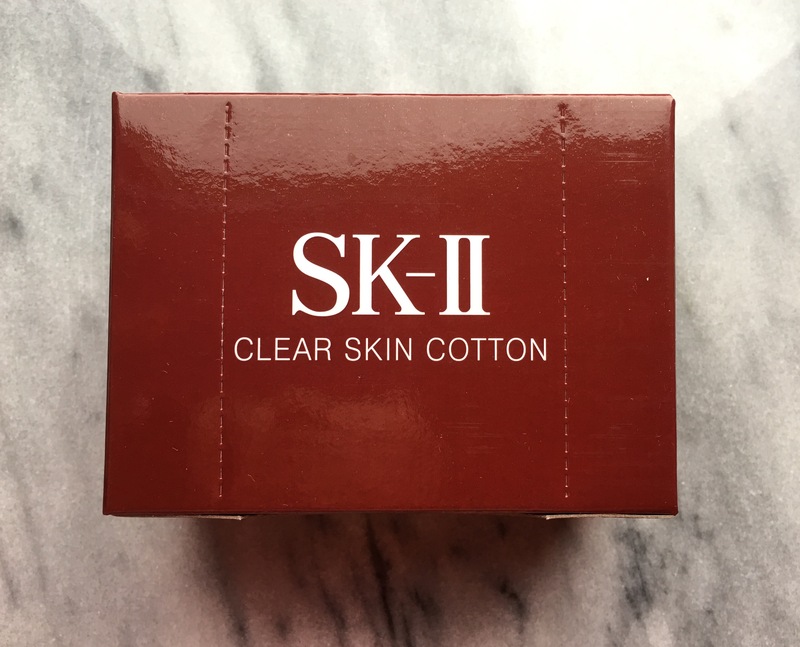 After using SK-II (which also uses yeast as a star ingredient), I haven’t been crazy about the whole yeast concept. I’m 36, a mother of two, and have Asian skin that is combination (oily T-zone and normal to dry cheeks). Apparently, the only response my skin has to yeast (in skincare lines) is itchiness and redness (all temporary, thank goodness). (3) Biologique Recherché P50 Lotion (No Phenol Version)–This is an exfoliating toner that has received much hype (just Google this product and you’ll find tons of reviews). There are several versions of this toner (original, normal without phenol, sensitive skin, and mature skin). I chose to use the version without phenol because of my two little ones as there’s been some controversy on the safety of its use. This is BR’s star product and I have to say that I’m disappointed. Perhaps it’s my skin type (and its reaction to the ingredients) and although it did provide excellent exfoliation, my face is itchy and red after every use (I’d hate to imagine what the phenol formula is like). (4) Biologique Recherché Crème Dermopurifante–This is a balancing and brightening moisturizer that has yeast and niacinamide as two of its star ingredients (starting to see a pattern here?). It’s supposed to be mattifying and purge/clarify your skin of excess sebum as well as balance the pH of your skin. So far, I have found that it does none of the above for my skin. However, I’m willing to give it a chance by using it as a day treatment during downtime (as a mask for when my little boy is napping). (5) Kat Burki Vitamin C Nourishing Cleansing Balm–This is a cleansing balm that features Vitamin C and several cold pressed fruit oils as its star ingredients. Even though I have combination skin (and I think this is more suitable for dry skin), I love it. I love it so much that it has earned a permanent place in my skincare routine. Results were immediate (skin was brighter and softer). Yes, it’s essentially an expensive oil cleanser (great for removing makeup and sunscreen). But it has the added benefit of brightening your skin (with 15% Vitamin C) and making it super soft. To get a bang for your buck, I recommend using this as both an oil cleanser and a mask (your skin will thank you)–I massage it onto my face to remove any sunscreen or makeup, keep it on my face for about 20 minutes before rinsing it off, and then use a foam cleanser to remove any oily residue. If you wear (a lot of) makeup daily (as I did when I was single), this may not be an economical product as you’d have to tissue off the first application and then reapply for the mask part of the regimen. But since I only wear makeup on special occasions now, this balm is all I need to remove dirt, grime, and sunscreen from my face (having two kids under the age of 2 will do this to you). And a little goes a long way. Bottom line: This product converted me into a Kat Burki lover. (6) Kat Burki Vitamin C Intensive Face Cream–This is a brightening moisturizer that uses 15 % Vitamin C and various cold pressed fruit oils as its star ingredients. Some say that it’s too light to be used as a night cream but I say it’s perfect (again, I have combination skin with an oily T-zone). It does not contain SPF and can be used day and/or night. A fantastic moisturizer and may have just replaced my precious Crème de La Mer (gasp!). My only complaint about the two Kat Burki products is the packaging–the consistency of both is such that they can and should be used with pumps (it would also be more sanitary and, thus, prolong shelf life). Yes, the glass jars are pretty to look at but glass bottles with pumps would be more practical and user friendly. As for stores, there are several that sell BR and Kat Burki but none offer free returns (except Nordstrom). Plus, returns are only accepted for unopened items (except Nordstrom). How would one know if a product irritates his/her skin without trying it first? Not being able to return the BR products annoys me (since the line is only sold at spas and boutiques). Glad it’s a moot point with the Kat Burki products (since they work fantastically on my skin). For those who would like to try a line or product but also want the protection of being able to return items inappropriate for your skin, I recommend shopping at Nordstrom (as the store offers free returns, no questions asked). Yes, I am an affiliate seller of Nordstrom but don’t shop there just because of that; shop there because you’re protected with your purchases no matter what (as long as you save your receipts). To get the most value for your purchase (of any skincare/cosmetic line), buy the products you’d like to try from Nordstrom. Then (after knowing what works for you), buy the products from their respective companies’ stores/websites (which tend to have more special offers/promotions/samples of the brand).